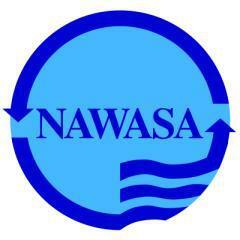 The National Water and Sewerage Authority (NAWASA) is seeking the general public’s compliance at this time with the storage of a 3–day water supply. The inclement weather currently being experienced due to Tropical Storm Matthew has a high potential of causing dam blockage which will render water systems unable to distribute a supply. Consumers in the parish of St Patrick may experience low water pressure, as one of the dams serving the Peggy’s Whim Water Treatment Plant was already shut down due to high levels of turbidity. Similar conditions are expected for the other water systems island wide once the weather conditions persist, as expected. Consumers are reminded that as they store, the needs of each member of their families should be taken into consideration, with a minimum storage of 35 gallons of water, per person, per day, for domestic use. The Authority will continue to assess our water systems and provide an update.